Several years ago I converted my old Nikon D70 camera into an Infrared Camera. The convertion was pretty straight forward with the aid of LifePixel I simiply followed their online instructions, it took about an hour of my time. I was on assignment in Florida when I took this photo down at the beach in South Beach, Miami. Here are a few more images from that same trip, these are from Key West area. This is a screen shot of what I would call a cheap shot! Adorama Camera store in NY is sponsoring a workshop with a very similar title to my series of workshops called Small Strobes, Big Results. This was brought to my attention by a person named "A Concerned Citizen" Thanks for bring this to my attention. I started Small Strobes, Big Results back in 2008, I have worked hard to built my branding. I absolutely think Adorama is trying to benefit from this hard work. Shame on you Adorama! 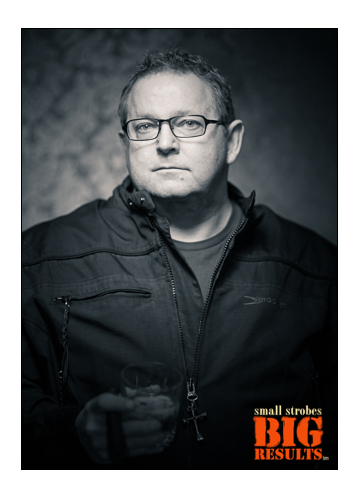 I have taught Small Strobes, Big Results all over the world. 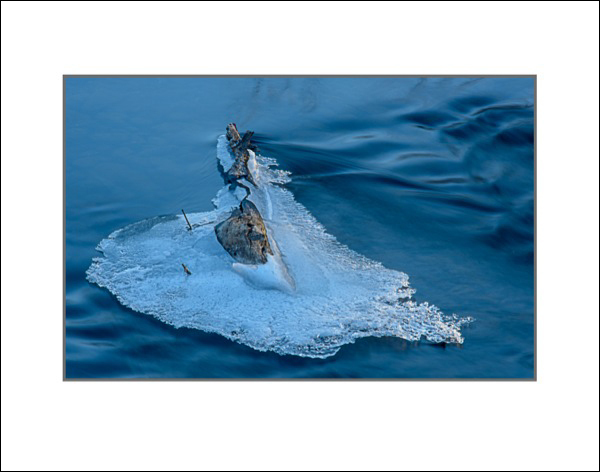 I teach at the Santa Fe Photographic Workshops, Maine Media Workshops, GPP (Dubai), Private workshops in Saudi Arabia, Manila, and Austria. 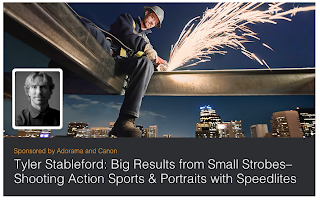 I just received an email from Adorama apologising for the similarity in the title of Tyler Stableford's workshop. They've changed the title of his workshop to Shooting Action Sports and Portraits with Speedlites. I want to thank Adorama for the fast resolution regarding my concerns about this issue, your a stand up group. Thanks. I did a post about Shooting in Small Spaces a while back. I thought I'd pass along another solution when confronted with such an issue. In August this past year I shot an assignment for a local mining company. I spent the day in their Denver offices and a two day trip to Nevada for some site photography. Another solution to shooting in a small office space is to shoot into it, as though your were eavesdropping on your subjects. My client wanted a photograph of two geologist working together looking at maps. I noticed when walking through their offices this one space where the drafting table was positioned near the door in this office. The drafting table had lights inside of it which I used as my main or key light. I added a small amount of light bounced off the ceiling in the back of the room. I used an SB-800 fitted with a full CTB (Color Temperture Blue) gel over the flash tube. The power was set low enough as to not over power the light in the desk and just high enough to open the shadows in the back of the room. I wanted to remind my readers that I'll be in San Antonio with Dave Black teaching a Mentor Series Trek. 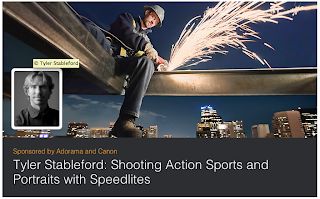 This workshop is all about leaning how to use your Speedlighs both on camera and off. You'll learn all about how to control your flash remotely and well as how to use modifiers light softboxes, umbrellas and grids. This is a great hands on workshop that should not be missed. Just a quick post from the phone tonight. I went back out shooting a Chatfield Reservoir today. I usually head for the park about an hour before sunset. I have just enough time to scope things out and then decide what it is I'm going to shoot. I had passed this tree earlier when the sky was darker and there was no seperation between tree and sky. My second pass was when the sky opened, and this was the first shot of the day. I made several variations of this scene, I then walked over to the tree for a possible lower angle shot when I saw the sky to the south with the road in the scene.